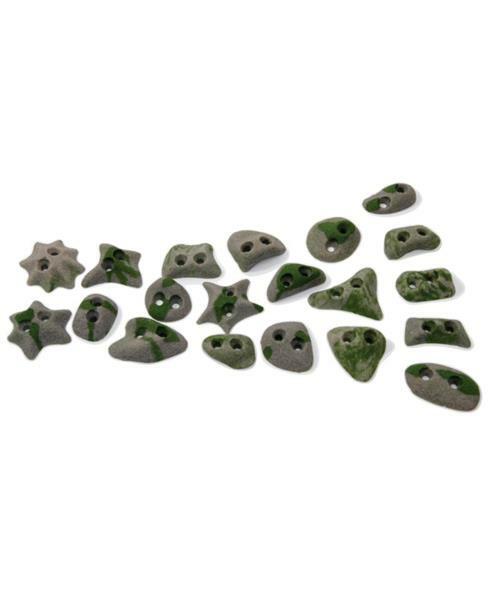 Super-technical, low-profile footholds that attach to wooden walls with self-drilling screws. Goes on where bolt-on holds won't. Includes mounting hardware.